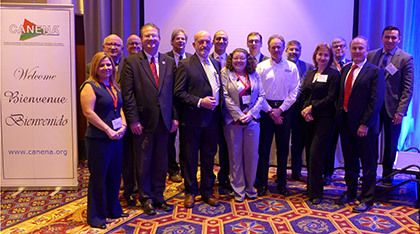 Leading Standards and conformity assessment experts from the U.S., Canada, Costa Rica, and Mexico convened in Chicago last month for the CANENA Annual General Meeting (AGM), which focused on the continued advancement of regional harmonized product safety Standards for equipment used in North America. Speakers presented attendees with ways to reduce technical barriers to trade caused by differing national conformity assessment and product installation criteria. Attendees also discussed the role of the U.S. electrotechnical standardization system in regional and international arenas. Rapid Pace of Urbanization: The mass movement of people to cities poses challenges to urban planners and will impact existing market dynamics associated with a wide range of industries. According to Ken Boyce, Director of Principal Engineers (UL, LLC), the degree of urbanization is expected to reach as high as 80 percent by 2050 resulting in the unprecedented growth of megacities–especially in South and East Asia. At the same time, aging urban infrastructure must be redesigned and rebuilt. Smart Cities: The focus of the Smart City concept is on livability, workability and sustainability as well as safety and security. For example, Germany is undergoing an energy transformation by replacing its nuclear power with renewables by 2022. In order to meet fluctuations in energy demand and maintain grid balancing, Germany will rely on virtual power plants and distributed energy resources. These new market opportunities present technical challenges as well as underscore the need to streamline the complex Standards development process. Need for Accelerated Standards Development: Meeting attendees agreed that Standards development must keep pace with electrification trends and emerging technologies. For example, self-balancing scooters/hover boards were recalled in the U.S. due to overheating. In that case, national Standards developers were called upon to quickly investigate the hoverboard and issue a certification as a precursor to a formal standard. However, the investigation findings were not accepted in all U.S .jurisdictions. Therefore, there is an urgency to transform the lessons learned from these types of investigations into international performance Standards. Publication of 98 harmonized Standards, working relations with COPANT and signed cooperative agreements with IEC and CENELEC are just a few of CANENA’s accomplishments over the past decade. Read more in CANENA—A Decade of Change. While at the AGM, CANENA Members developed business strategies to reduce the level of complexity inherent in designing electrical products for multiple markets. Members also agreed to continue harmonizing Standards as part of a regional, open-market strategy. 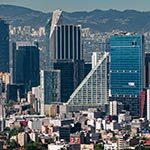 The 2019 CANENA Annual General Meeting will be held on February 27–28, 2019, in Mexico City. Financial donations to CANENA, a Section 501(c) (6) non-profit organization, support the development of harmonized electrotechnical safety Standards between North American countries. We continue to keep the cost low, providing an opportunity for a greater number of CANENA projects to be supported through completion. As of December 2017, 43 electrotechnical Standards harmonization committees operate under CANENA, which has published a total of 98 Standards. Please take a few moments to give us your feedback on the content of our recent meeting as well as your recommendations for the future.